Although very common and usually benign, dermatological issues accompany pediatric patients from infancy to adolescence. Most commonly known as diaper rash, this condition is one of the most common skin issues among our youngest pediatric patients. As the name suggests, the rash effects the diaper area and is characterized by bright red irritation, sometimes combined with blisters and inflammation. Eczema is a very common skin condition usually manifested as itchy dermal inflammation or dry and scaly skin patches. Most frequently noticeable during early childhood, atopic dermatitis may affect any area of a child’s skin, though it typically appears on the arms and behind the knees. The itch may be troublesome for the child, and scratching to relieve the discomfort can lead to infection. A skin infection caused by a poxvirus, Molluscum Contagiosum is usually a benign form of small pearly-looking bumps often with a central indent known as Mollusca, that can appear anywhere on the body. Although the condition typically resolves without further complications and scarring, the bumps can remain anywhere from a few months up to four years. One of the most commonly diagnosed skin disorders, acne is a result of hair follicles plugging with oil and forming swollen inflammation on the surface of the skin. Although many adults also suffer from acne, the issue is generally associated with adolescents going through puberty and it is related to hormonal imbalance. While acne is not life threatening, if left untreated, it may lead to unsightly scarring and other issues related to the emotional well-being of a teenager. Verruca Vulgaris, or simply known as warts, are small flesh-looking skin growths originating from human papillomavirus. The virus is spread from one location to another, or from person to person by contact with the effected area. These benign dermal bumps can appear anywhere on the body depending on the strain of virus. Usually self-diagnosable, warts often require medical treatment, which may include cryotherapy, topical medications, or surgical removal. Moles are skin pigmentations that may change overtime and evolve from benign to cancerous. For that reason, it is extremely important to routinely perform self exams of your skin to check for any changing or developing moles. Keep in mind that the quicker the diagnosis, the better the prognosis! At New You, our experienced providers conduct skin exams using a professional dermatoscope to ensure a comprehensive and thorough examination. Because we want to provide our patients with the best care possible, our services include surgical excision, laser procedures, or cryotherapy. An accumulation of extra blood vessels, known as Hemangioma, is most frequently seen among newborns and often looks like a cherry-red birthmark. The bright red nodule may slightly increase in its size within the first few months of a baby’s life, but tends to fade over time on its own. In rare cases, these noncancerous growths can become larger than expected and require surgical removal or other treatment. Skin infections have many causes, including bacteria, fungus, virus, or parasite. Fortunately, most of these dermatological disorders are easily curable with proper treatment. At New You, we have years of experience correctly diagnosing, evaluating, and effectively treating a wide array of skin infections. Allergic reactions often cause skin irritation, hives, eczema, or any other itchy rashes. This is because your immune system senses the allergic attack and sends antibodies to oppose the intruder, resulting in distressing and tender skin conditions requiring medical attention. Although allergies vary greatly in terms of acuity and appearance, it is important to recognize the source of reaction and apply proper treatment. As the name suggests, viral rashes are generally caused by a specific type of virus. Although most viral infections are not life threatening and may resolve on their own, some can cause serious health complications and require urgent medical attention. 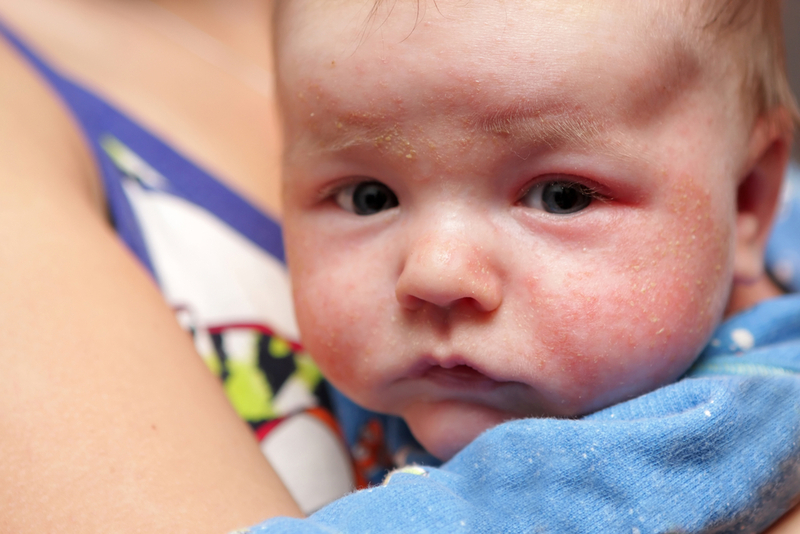 Rashes caused by a certain virus with characteristic dermatological outbreaks, such as chickenpox or the measles, can help determine the type of infection and its severity. Is Accutane a good option for acne treatment? Accutane is a vitamin-A prescription medication recommended for patients with severe acne. The treatment itself is very effective and relatively quick, but it requires close monitoring and frequent visits with your physician. Can steroid creams be used on babies? Topical steroids, such as hydrocortisone, are applied to reduce inflammation, swelling, and itchy skin. Generally, these creams are found to be safe when used on babies, but need to be applied with caution. At New You, we use the lowest potency of a steroid medication for a limited time, typically less than two weeks, along with dry skin protocol to control eczema. Can pediatric patients develop skin cancer? Although rare, skin cancer may develop this early in life. It is important to always perform regular skin exams at home, as this simple practice will help you recognize any alarming changes to your child's moles. It is recommended that irregular, multicolored or changing skin lesions should be removed. Most of procedures done in our clinic require local anesthetic and take up to 30 minutes.